With Readly you can read The Winter Knitting Book and thousands of other magazines on your tablet and smartphone. Get access to all with just one subscription. New releases and back issues – all included. Get cosy this winter by making your own fantastic knits. From your very first cast on to finishing your own winter hat and beyond with over 17 patterns there is bound to be the perfect starter project just for you! 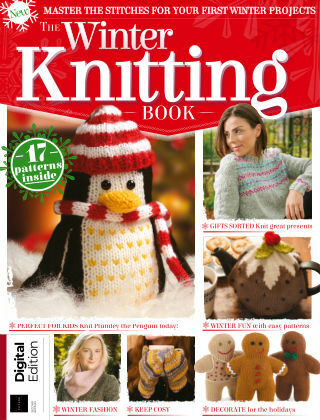 Perfect for beginners, The Winter Knitting Book has everything you could possibly need to start knitting today!